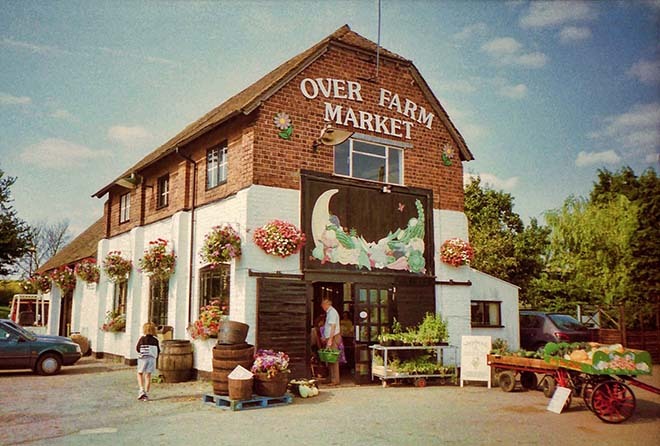 Over Farm Market is located near the village of Over in Gloucestershire and was established in 1982 when Rob and Sue Keene converted a former lorry garage into the farm shop that remains there to this day. Today it is still family run and sells the best, locally produced products as well twenty different varieties of fruit and vegetables that are grown on its own farm. Over Farm also features a beautiful barn, which makes the perfect venue for all sorts of events, its very own airstrip and you can guarantee something will be going on year round. We’ll be telling you more about their spooky Halloween offering next week, but this week the focus is on pumpkins. 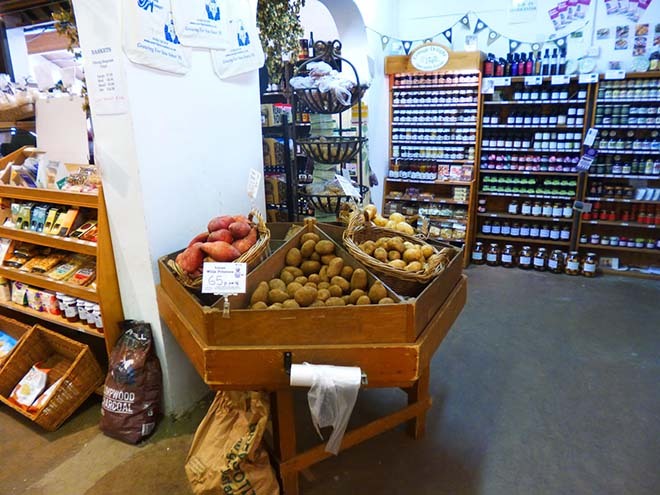 The farm itself predates the farm shop as it began life much earlier, back in 1936 but it only started growing vegetables in the early eighties in order to supply the farm shop. Each year they sow 15,000 pumpkin plants to ensure a crop of around 30,000 traditional pumpkins and 5,000 to10,000 in a host of different sizes. They also grow ten squash varieties purely for culinary purposes, which are sold in the farm shop. 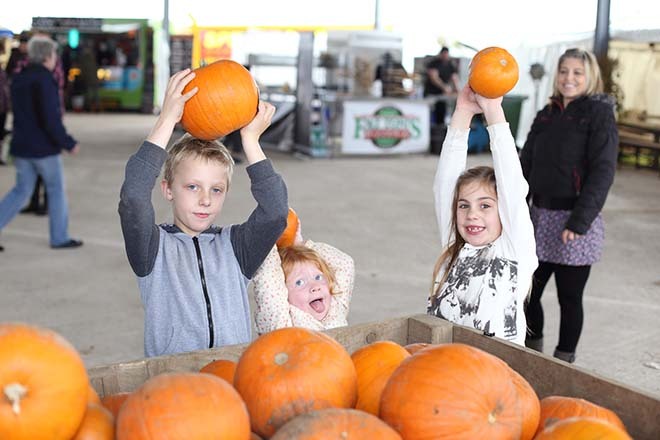 The pumpkins are planted at end of May and are harvested throughout October. 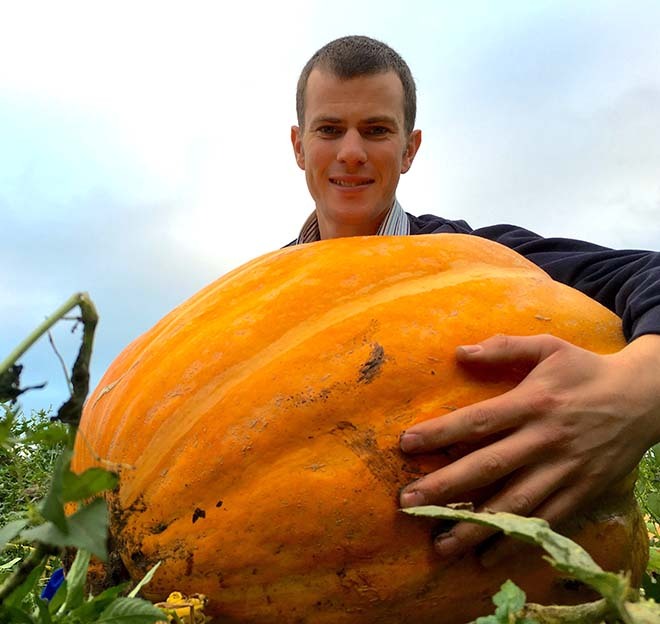 The biggest pumpkin they have grown was about 20 – 30 kilos, which was grown by Rob Keene and son Reese has a photo of himself as a little boy with that particular pumpkin. 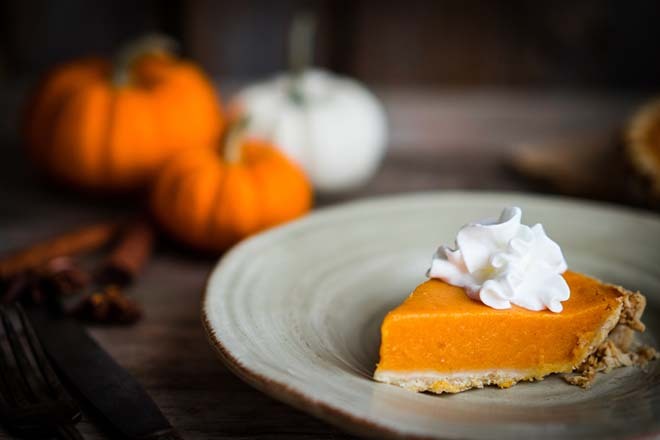 Any leftover pumpkins are given to local farmers to feed their animals or set out to rot in the fields to provide nutrients for next year’s crop. Over Farm’s tip for carving pumpkins is to cut the bottom off the pumpkin as well as the top. This means it will sit firmly on any surface and also makes it easier to light. You can put a candle on a plate, then simply pop the carved pumpkin over the top. So why are pumpkins associated with Halloween? 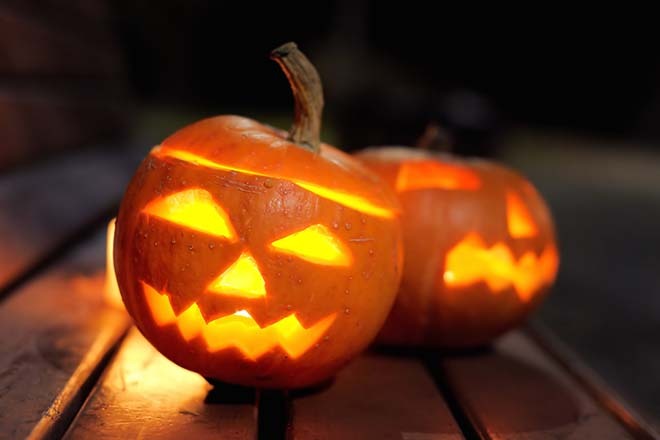 The legend that led to pumpkin carving originated in Ireland and was based on a folk character called Stingy Jack. Jack invited the Devil to have a drink with him, but instead of paying up, and in keeping with his name, he convinced the Devil to turn himself into a coin which he could use to pay the innkepper. However, Jack’s deceit didn’t stop there and, instead of handing over the coin, he decided to keep it for himself. Jack eventually freed the Devil, having made him promise he would not take Jack’s soul. However, the Devil got his own back by committing Jack to walking the Earth forever whilst carrying a glowing ember in a hollowed out turnip. The thousands of Irish immigrants in the US kept the legend alive but used pumpkins instead of turnips as they were far more plentiful. Over the centuries, the pumpkins began to feature frightening faces in a bid by children to frighten each other and the round orange vegetable is now a Halloween icon.